Josh and Misty wanted to do what was best for Denver. They enrolled him in therapy and a pre-school program, but the costs proved too great. To keep their head above water, they sold their house, Josh took a break from school, and they cut excess everywhere they could. Over the next 3 years, they took Denver to every specialist they could to get a proper diagnosis, but all tests came back negative for most common genetic disorders. Josh remembers, "All that was before us was a black abyss. We felt hopeless." By the age of 3, Denver was way behind on his milestones. Josh and Misty made an appointment with a geneticist who immediately noticed certain characteristics in Denver. The geneticist ran a test specifically for something called Fragile X Syndrome. It came back positive: Josh and Misty finally had an answer. Fragile X Syndrome is a rare genetic condition that causes a range of developmental problems, including mild to moderate intellectual disabilities and cognitive impairment. 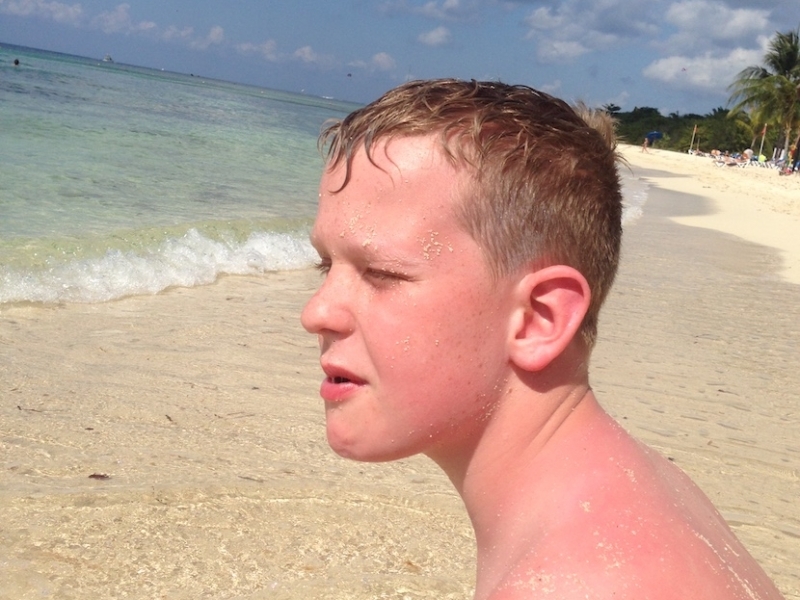 Children with Fragile X Syndrome tend to have distinctive physical features. They may also exhibit anxiety, hyperactive behavior, and features of autism spectrum disorders that affect communication and social interaction. 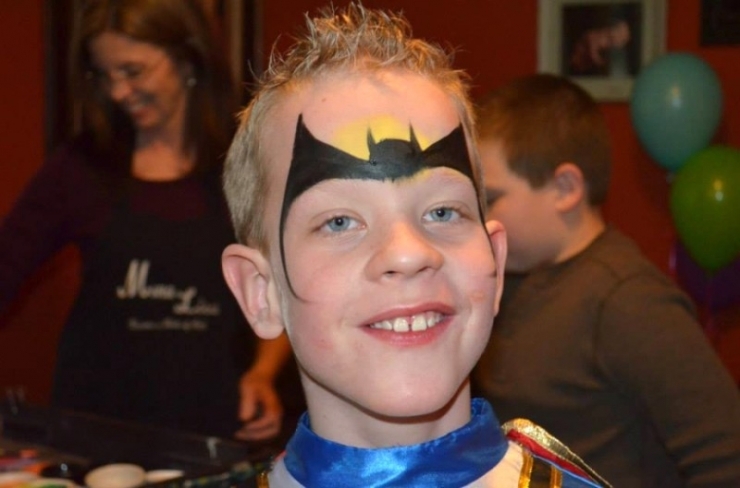 In addition to Fragile X Syndrome, Denver has also been diagnosed with autism. When a milestone is reached, no matter how late, it is a reason to rejoice. 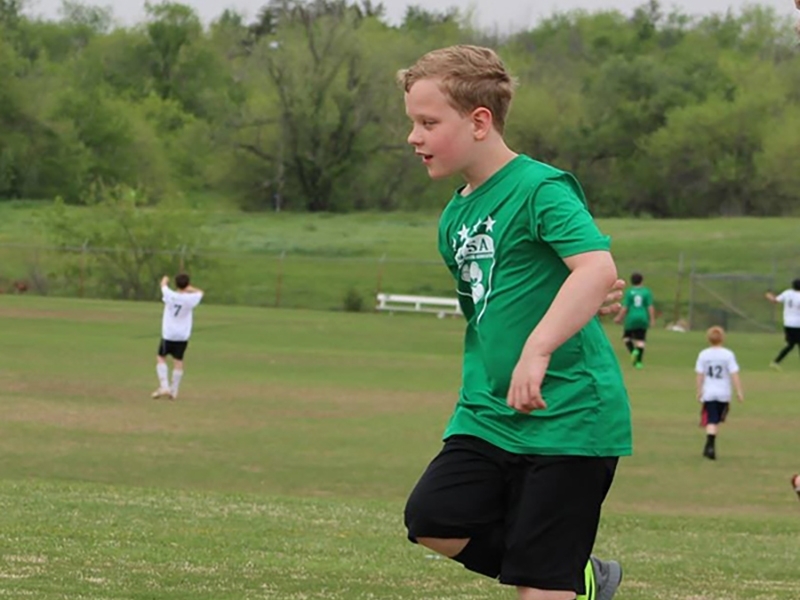 "At genetic counseling, we learned that the severity of Denver's Fragile X would most likely mean that he would be delayed in all areas, but to what extent, no one could tell us," Josh explains. "As a dad, you always dream of having a son. I wanted someone to go to football games with and throw the ball around, someone to pal around with, and someone to look up to me like I looked up to my dad." Armed with a diagnosis and expectations, Josh and Misty doubled down on therapy and training for Denver. 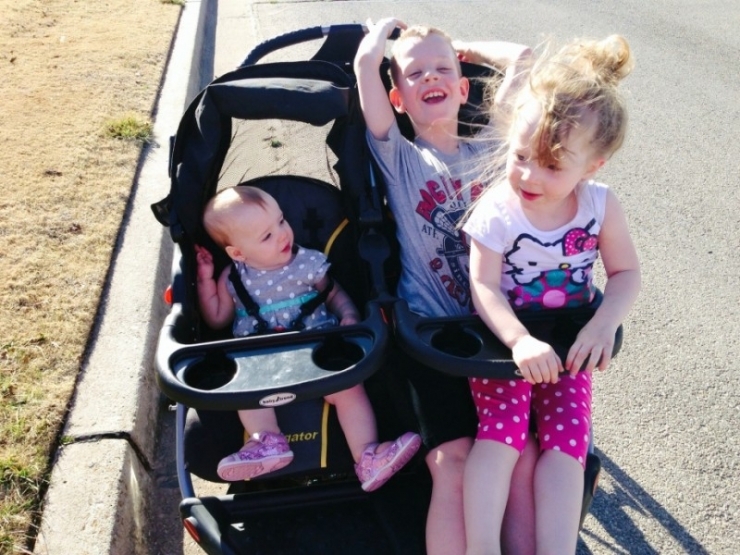 Their biggest help came when their daughter, Aspen, was born. 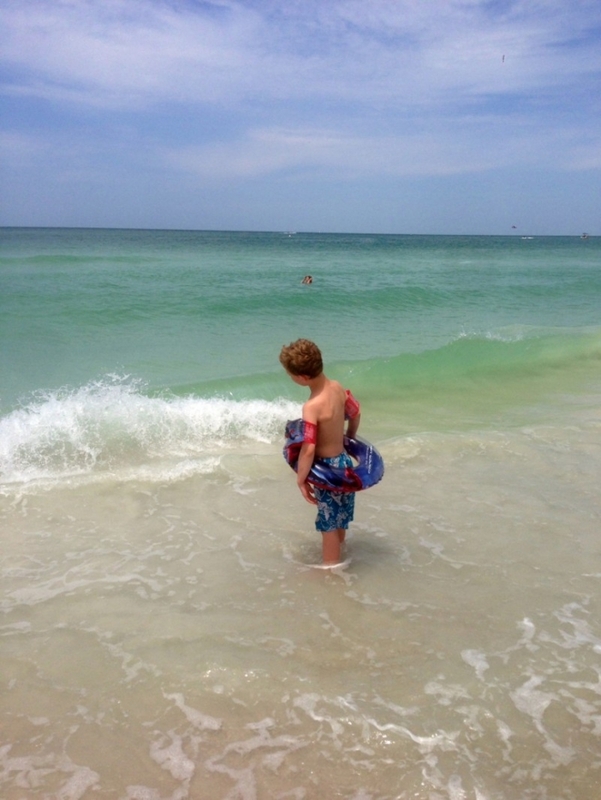 "Aspen potty training at age 2 really motivated Denver at age 7. That was the one thing I wanted for him. When a milestone is reached, no matter how late, it is a reason to rejoice," Josh proclaims. They were told that Denver would never be able to communicate his needs. While Denver can't speak clearly, he does successfully communicate when he's thirsty or needs to go to the bathroom. He has come a long way. Denver is 9 years old now. His personality is infectious. He loves to entertain a crowd and is always the life of the party. As an avid lover of music, Denver plays drums. His drum sets don't last long as he gets carried away when playing them. He's a whiz with a remote and drives his little sister nuts when he incessantly rewinds programs. His favorite show is iCarly. Josh and Misty have been told that Denver will function between a 5 and 8-year-old level at full maturity. 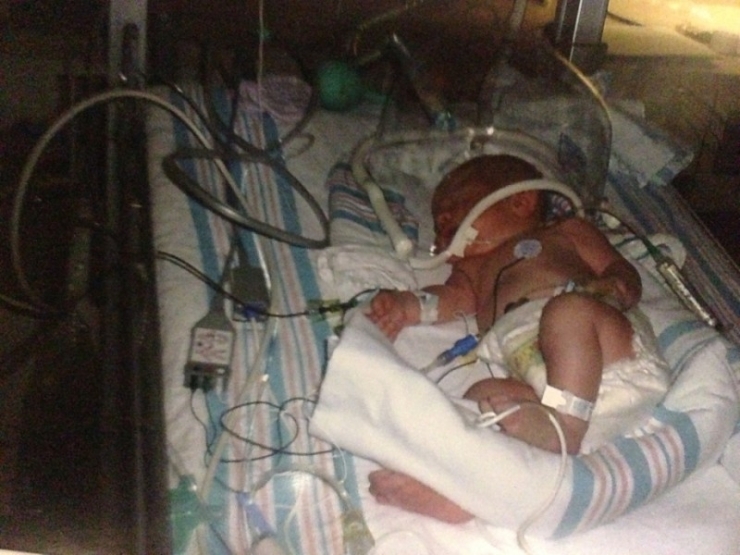 "Making sure Denver is cared for later in life is our priority," Josh explains. That is challenging on their income. Josh managed to finish school. He now works fulltime in a healthcare management position. Misty continues to work part-time night shifts as a nurse so that she can take Denver to appointments during the day. They still do not make enough money to cover all of Denver's medical expenses, which will only continue to rise over the years. Josh and Misty need a little help. 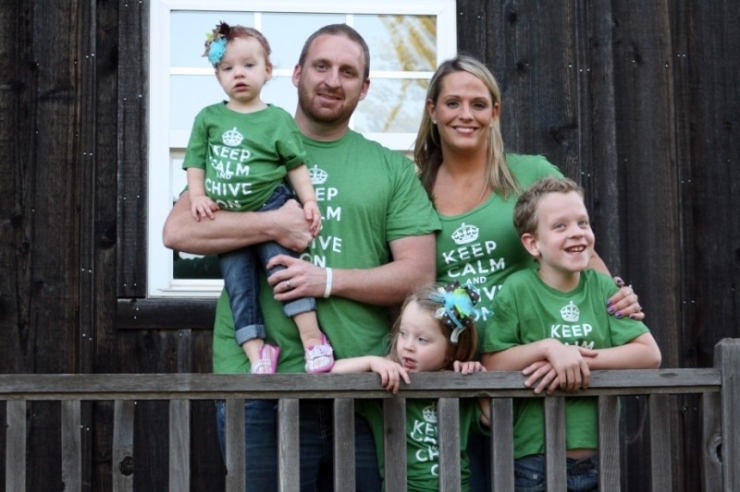 Chive Charities is proud to announce that we are giving Denver and his family a$47,000 grant from the Chive Fund. The grant is going toward essential items to improve Denver's quality of life. One item is a Lovesac beanbag chair. 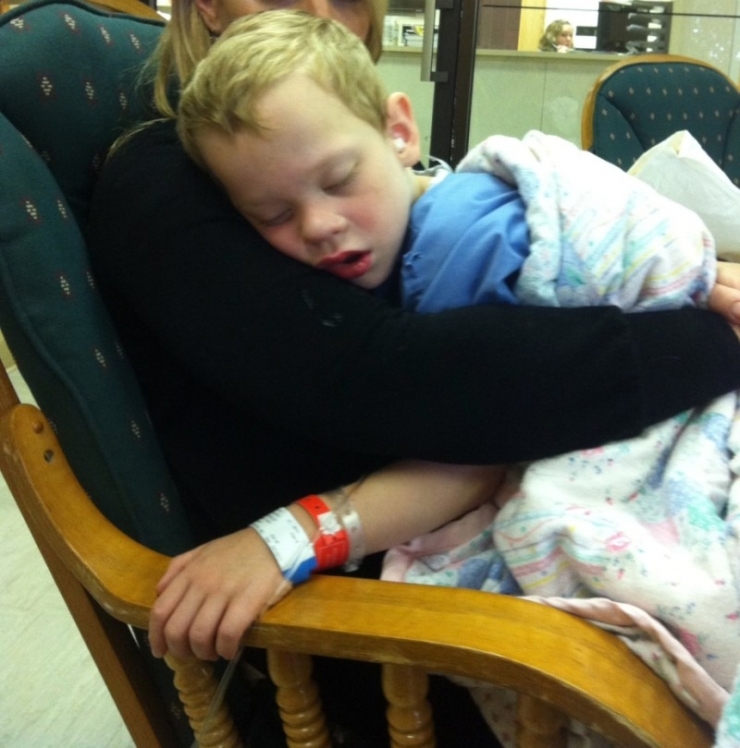 With Denver's hypotonia and muscle disorders, he experiences fatigue. The shape of the Lovesac forms to his body and will allow him to take sensory breaks. Part of the grant is going towards an iPad. Denver will be able to download educational apps to further his progress. The most exciting news, part of the grant is going towards a therapy room addition to Josh and Misty's home! Living in a house with 5 people is a lot of stimuli for Denver. He needs a place to retreat. "The addition of a therapy room will allow us to add items that aren't possible in our home's current modification," Josh explains. As Denver gets older, he will begin to experience tremors and issues with balance and memory. The development of his motor skills in the therapy room will be critical. "Our goal is for Denver to reach this highest level of function and self efficiency. This room will allow him to do that." Halloween is a big deal in Denver's family. They spend pretty much all year preparing for it. Denver, Aspen, and Brighton. All Colorado names, even though the family has never been to Colorado. Aspen is very protective of her big brother. She speaks her mind and defends him. She does not tolerate anyone being mean to him and includes him whenever she plays with her peers. Denver loves to swing. It helps with his sensory issues. As he gets older, it will be harder for him to swing on conventional swingsets. Part of the grant is going toward an indoor therapy swing that can sustain up to 350 pounds. He will be able to swing in the privacy of his own home. 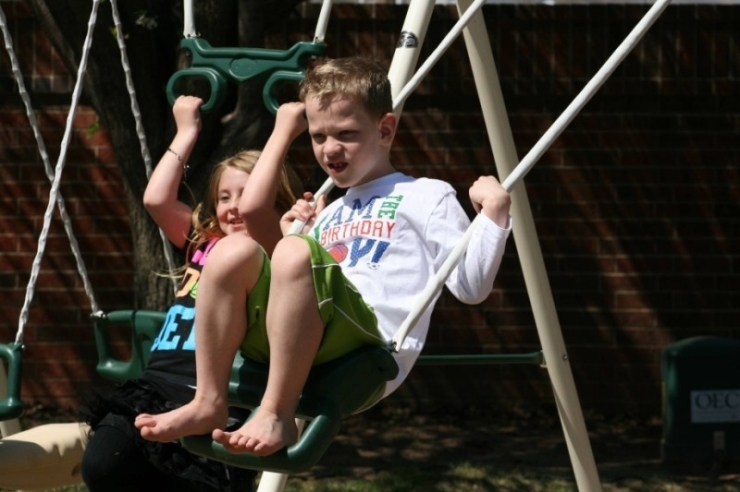 Josh tells us, "Denver requires the sensory feedback from swinging in order to cope with outside stimuli. You will often see his eyes closed and face relaxed while swinging. This is his release. When the world gets too much, he can disappear for a while. He's been known to go outside in 20 degree weather and swing. It will be a great blessing to have an indoor swing for him." 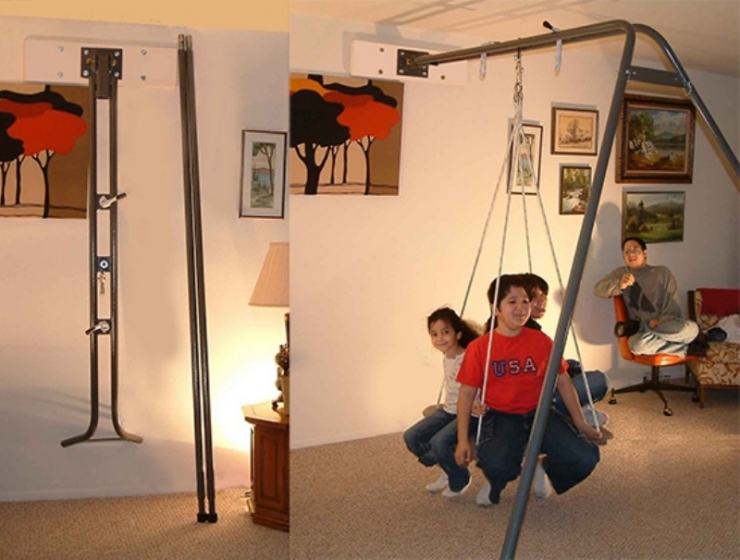 The indoor therapy swing we purchased for Denver! As you can see, it folds back into the wall when not in use! 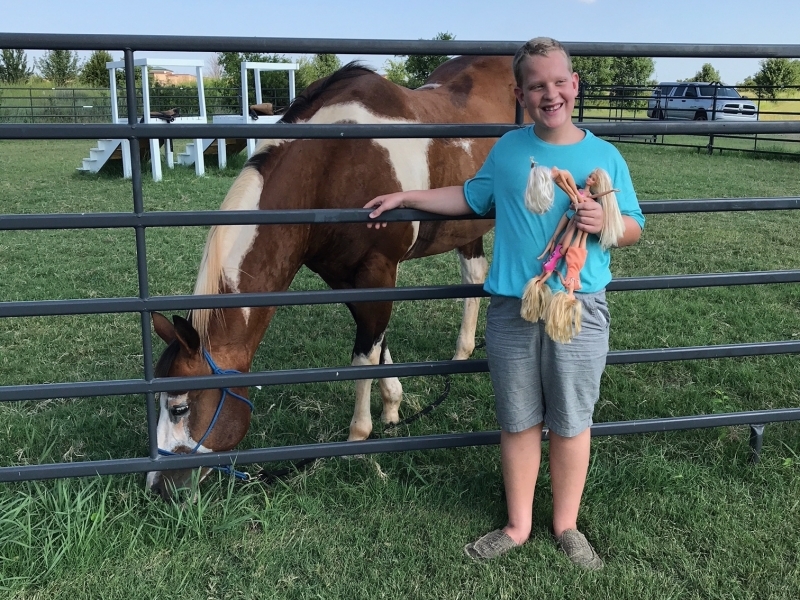 Thanks to your continued donations to the Chive Fund, Denver will be able to get the sensory and physical therapy he needs. In the 6 years since Denver was diagnosed with Fragile X Syndrome, this is the first time Josh and Misty have shared their story. "Some of our closest friends will be hearing it for the first time. We have always been private about it and felt it was our burden to bear," Josh confesses. "We now know we can't continue like that. We have realized that through dedication to making Denver the best he can be, the dreams that we had for him when we first realized we were having a boy don't have to change. Some things will have to be adapted, but he is very much the boy we dreamed of." 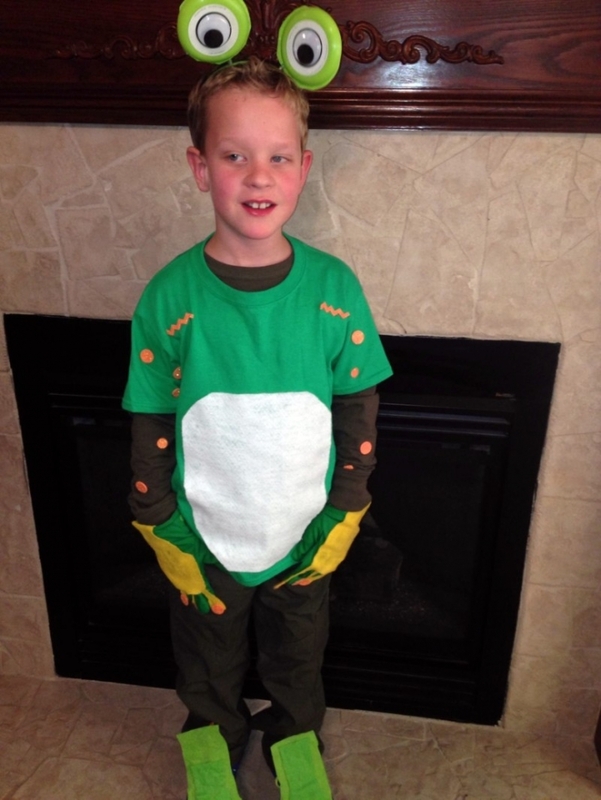 Denver is a special kid who inspires his family daily. Josh shared with us, "The smile on his face and his ability to see the wonders of life that we take for granted are nothing short of amazing. Not a day goes by that Denver doesn't remind you how amazing the stars are... The wonders of long trains... The beauty of rain... and the enjoyment you feel at a holiday or birthday party. He reminds you that you shouldn't just live in the moment, but take the moments with you."